AMD Ryzen is here along with a plethora of new motherboards. PC enthusiasts who’ve been waiting for the AM4 platform certainly won’t be disappointed. The detail and care that motherboard manufacturers have added this time around are impressive. It’s a much-needed update and one we’ve not seen for several years. Clearly, the AMD Ryzen lineup is here to stay. So What’s New with AM4 Motherboards? As I mentioned above, there’s a lot to like about the AM4 platform used for AMD’s Ryzen lineup. 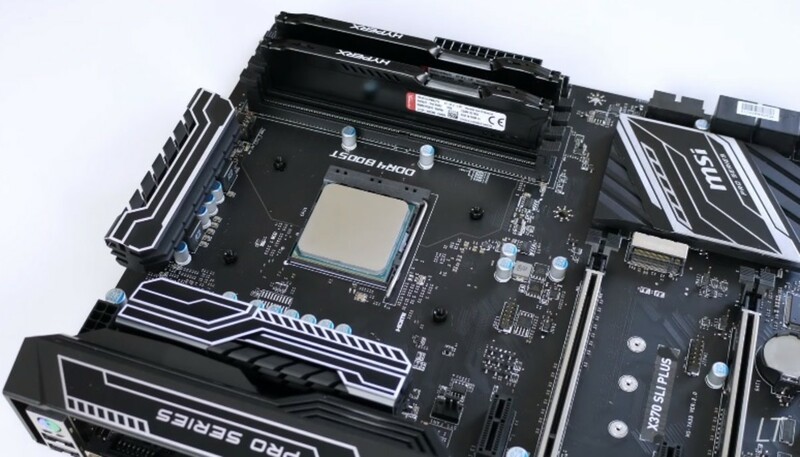 With the Am4 socket, we have five new chipsets including the X370, B350, A320, X300, and A/B300. The X/B/A300 chipsets motherboards are small form factor. While every Ryzen chip can be overclocked, overclocking is only available on the X370, B350, and X300 chipsets. All of these chipsets support PCIe 3.0 up to 24 lanes along with 4 modules of DDR4 up to 3200MHz. 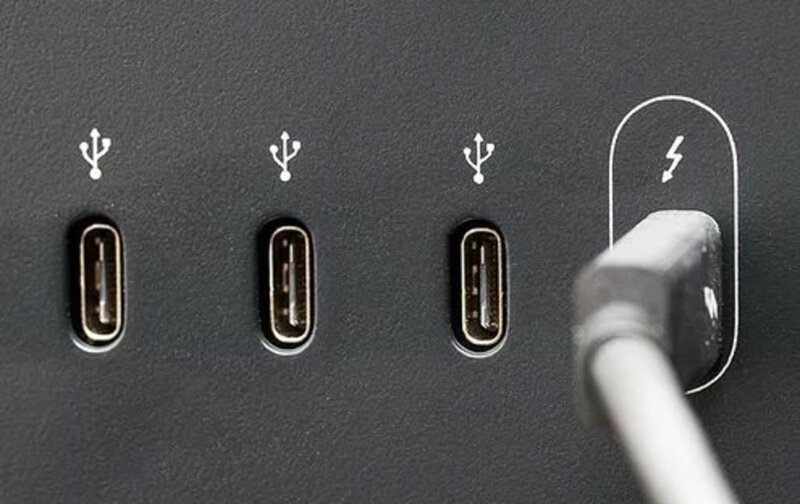 USB 3.1 Gen 1 is natively supported while Gen 2 is native to X370, B350, and A320 chipsets. Of course, these motherboards will support the latest NVMe and SATA Express drives. If you’re going with a dual GPU configuration, it’s likely you’ll want to go with the X370; however, the B350 may support a PCIe x 4 Crossfire setup if the manufacturer makes it available on the motherboard. Of course, affordability is one thing that the B350 has over X370 and even Intel’s Z370 Coffee Lake motherboards right now. Looking for the right AM4 X370 chipset motherboard for your new Ryzen system? Here are six boards, at various price points, that make our cut. We’ll start with boards in the $250 price range and then give you options for budgets of $200, and $150. One of the more popular motherboards in the AM4 lineup is the Asus ROG Crosshair VI Hero. Most of this right now comes from Asus’ gleaming reputation in the motherboard industry. As overclocking performance for this board is similar to other boards on this list, we’ll focus on the design, interface, and quality that this board offers. The Crosshair VI Hero includes a classic Black and silver design that includes Aura Sync RGB LEDs which allow you to synchronize LED effects between components like your mouse, LED strips, GPU, and keyboard. The motherboard itself also screams quality with extra features like the GPU protecting safeslot and better quality components overall. Motherboard audio has been good for a while now, but improvements continue to come. The SupremeFX Codec for the AM4 VI Hero gives it a 113db signal-to-noise ratio, a 120dB on line-out, and a simultaneous 7.1 channel playback. Power delivery is clean with the ESS Sabre Hi-Fi ES9023P DAC and the high gain with low distortion comes through the Texas Instruments RC4580. At the software level, the Crosshair VI includes Sonic Studio III which filters noise and allows you to create various sound profiles based upon the games you’re playing or movie you’re watching. For FPS gamers, this does include pinpoint precision and audio radar for locating enemies even in those moments when things are getting blown up. Want to make your system look different than everyone else’s? The Crosshair VI has some 3D printing designs which allow you to add a custom SLI bridge, fan grill, cable combos, and more. The AM4 Crosshair VI Hero supports solid overclocking with their Asus Pro Clock technology, which works with the Asus TurboV processing unit to get you a solid overclock along with your CPU cooling solution. DDR4 supports up to speeds of 3200MHz when you overclock it. The BIOS, as most of you know, is still top notch. Being able to manage and add as much as you want to your cooling system is one of the things that the Crosshair VI Hero does very well. With 5-way independent controls, 4 fan control sources, as well as Fan Xpert 4 for balancing your system, you’re able to keep your system cold while avoiding all the extra noise pollution. Other great features included with this motherboard include a front I/O USB-C port, onboard USB 3.1, PCIe GEN3 M.2, Intel I211-AT ethernet, Safeslot for protecting your GPU, and more. Overall, the Asus AM4 Crosshair VI Hero is a solid enthusiast board for around $250 and worth it for those seeking extra features. Those who plan on doing a modest overclock that may not need the above-mentioned features may find more value in a less expensive board. Here’s a board that gives you good value in the under or around $150 price point for the AMD Ryzen X370 chipset. For a less expensive option, with many of the same features, consider the Asus Prime X370-Pro. This will likely be the bestseller in the Asus lineup and is in the $150 buyer sweet spot like Kaby Lake Asus Prime Z270-A. While there are fewer features on this board, Asus offers this at a lower price partially by eliminating unnecessary design options like a huge I/O shield, U.2 support, and SATA express support. Yet the Prime X370-Pro still has a lot of quality features including two reinforced PCIe lanes and support for M.2. For the color scheme, it’s a common gray and silver design. The Prime X370-Pro supports has 4 DDR4 slots that support up to 64GB of DDR4 2666 or 3200MHz OC. It also has 2 x PCIe 3.0 126x lanes and a single PCIe 2.0 lane. For storage, it supports up to 8 SATA as well as an M.2 device. This is more than enough for most. Additional specifications appear in the table above. The Asus Prime X370-Pro brings to the table all the goodness that we expect from Asus’ bestselling mid-range board. It’s ideal for those not looking for a bunch of RGB flair or additional plastic and, rather, a value option that reaches similar performance. That being said it does have Aura Sync RGB lighting, so you can definitely customize it how you’d like. Another X370 motherboard to consider in the under $150 category is the MSI X370 SLI Plus. It’s a bit less expensive than the Asus Prime Pro (around $130) and has most of the features. 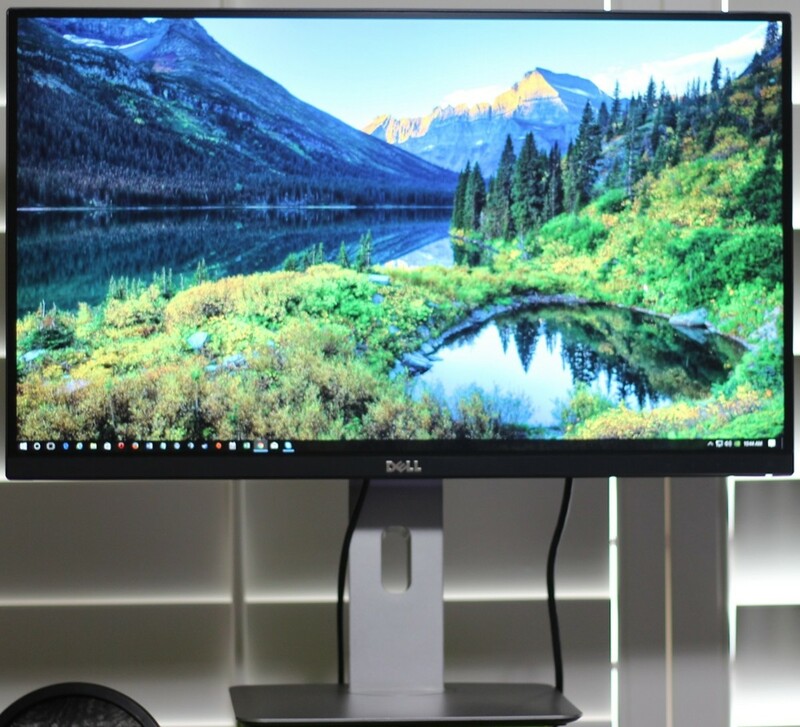 For those concerned about basic functionality and high-end X370 features at an affordable price, this is an option that could save you a couple bucks. The design of the SLI Plus is fairly basic with an all black and white theme. This fits a wide variety of setups. For lighting it includes some basic LEDs for the audio section but with RGB LED support you can spice things up a bit if you so desire. You won’t get your Intel NIC, high-quality VRM components, and exceptional audio with this board. That simply doesn’t happen at this price point. The SLI Plus can handle a 4GHz overclock on your Ryzen processor and has what you need for a high-performance system. You also get USB 3.1 implementation which is certainly an advantage over other budget X370 boards. 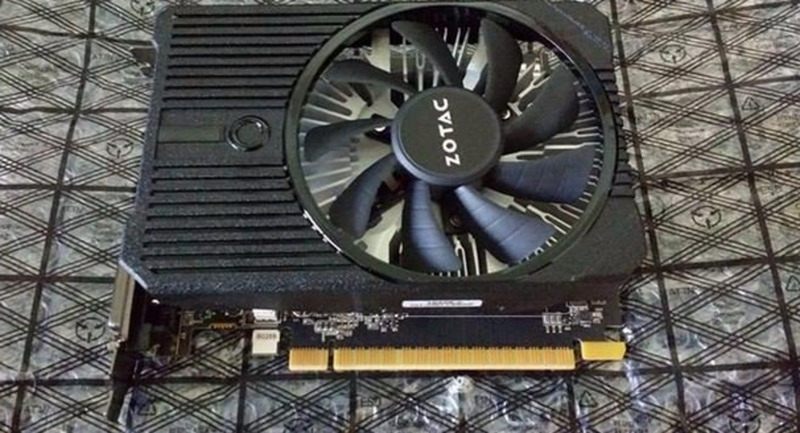 Lastly, a 32GB/s M.2 slot, five fan headers, and RGB LED support give you additional flexibility. Overall, it’s an inexpensive board with a few high-quality features thrown in like the ASMedia USB 3.1 and type-C controllers. It looks good and overclocks well. The VRM area does get a little bit warm, but this doesn’t seem to cause any issues. Additionally, the BIOS is straightforward with two modes; Advanced and EZ. Both are fairly simple to use. If you’re looking for a high-quality X370 board in the around $200 price point, the Aorus Gaming 5 might just be what you’re looking for. Quality reinforced steel slots and I/O ports along with stylized heat spreaders and the LED lighting give it an ultra-durable feel and premium look. Gigabyte calls this its Dual Armor Design. Overclocking makes it simple to get to 4GHz, or even 4.1GHz depending on your chip, with some decent cooling and the RyzenMaster tweaking app. You can see more of our overclocking results and a comparison of the AMD Ryzen 1700 vs the i7-7700k here. For those who haven’t overclocked before, it’s really as simple as sliding a bar to the speed you’re hoping for. There is no automatic overclocking option from Gigabyte. The Gigabyte Aorus X370 Gaming 5 is updated with all the latest features including fast USB 3.1 Type-A and Type-C Ports as well as M.2 and U.2 Ports. For those wanting a multi-GPU configuration the Aorus Gaming 5 can handle it with 3 x PCIe X16 slots running at x16, x8 and x4; 3 x PCIe x1 slots. One slight criticism we’d have of Gigabyte on this board is their questionable placement of the M.2 Drive beneath GPU. If you like eye candy and features, the Gigabyte Aorus GA-AX370 Gaming 5 has a lot of it. It’s a quality board with a ton of features for enthusiasts. The performance was quite good at 4.1GHz for our Ryzen 1800x CPU and 3200 MHz for the ram. Not every kit will work with this at first, but as the BIOS gets updated, it’s likely this will become easier. Price is good for what you’re getting at around $200. That being said, you can get a similarly featured AM4 X370 board for around $150 if you’re willing to cut out a few of the extras. It’s likely you’ll get similar performance out of less expensive boards over time, albeit with fewer features and perhaps even less performance right now. That being said, if you can afford it, you certainly won’t be disappointed. Another good AM4 motherboard at just under $200 is the MSI X370 Gaming Pro Carbon. 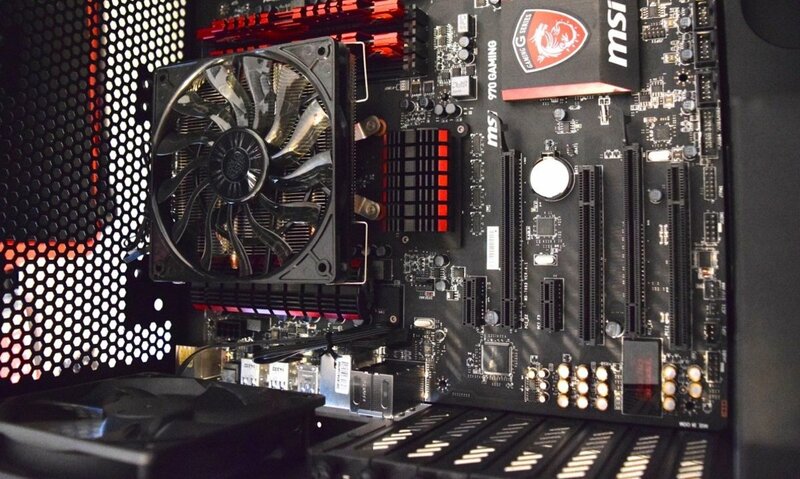 MSI’s board looks fantastic with its Mystic Light RGBs and unique Steel Armor slots for your GPU and Memory. Speaking of mystic light, the MSI sync on this board gives you up to 16.8 million colors along with 170 controlled effects. The X370 Gaming Pro Carbon has a ton of features including Gaming Lan, Lan Protect, Audio Boost 4, Turbo M.2, M.2 Shield, Lighting USB 3.1 GEN2, DDR4 Boost, and of course Multi-GPU steel armor PCI-E slots. More specifications appear in the comparison table above. In the $250 price category, we really like the look of ASRock’s Fatal1ty X370 Professional Gaming AM4 motherboard. The black PCBs and plethora of RGB lighting options really make it stand out. 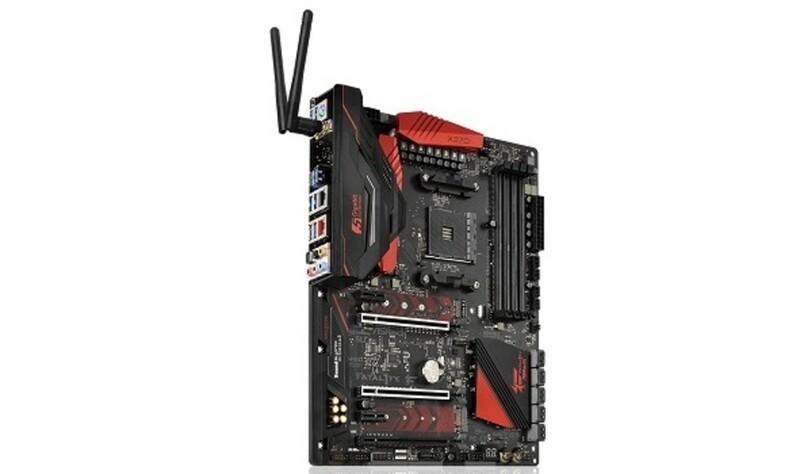 Specifications include 2 x PCIe 2.0 x 1 slots, a vertical M.2 socket, 2 x PCIe 3.0 x 16 slots, 10 SATA 3 connectors (2 supported by ASMEDIA ASM1061), 1 Ultra M.2 socket, Realtek ALC1220 audio, Aquantia AQC108 LAN Chipset, and more. Stay tuned for our complete review on this motherboard. For another mid-range $150 motherboard, here’s the ASRock Fatal1ty X370 gaming K4. The K4’s price range puts it in competition with Asus’ Prime X370. 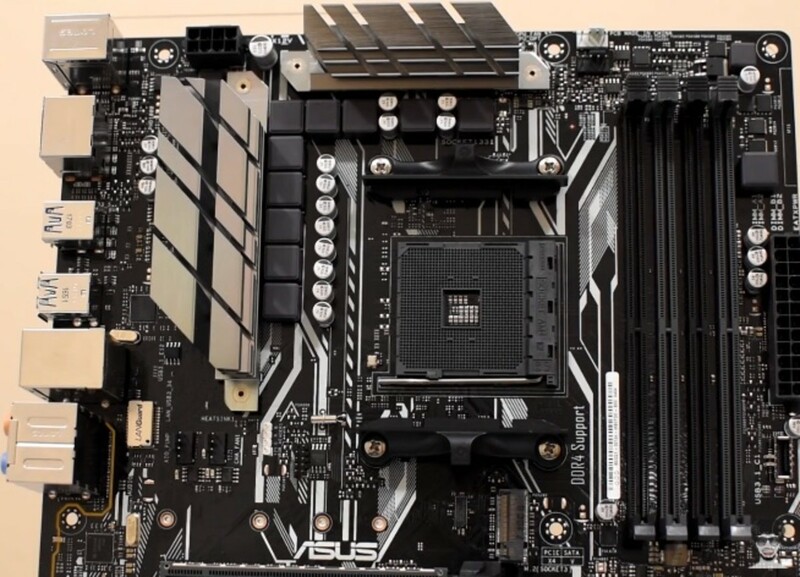 It’s likely that more Asus prime motherboards will sell. 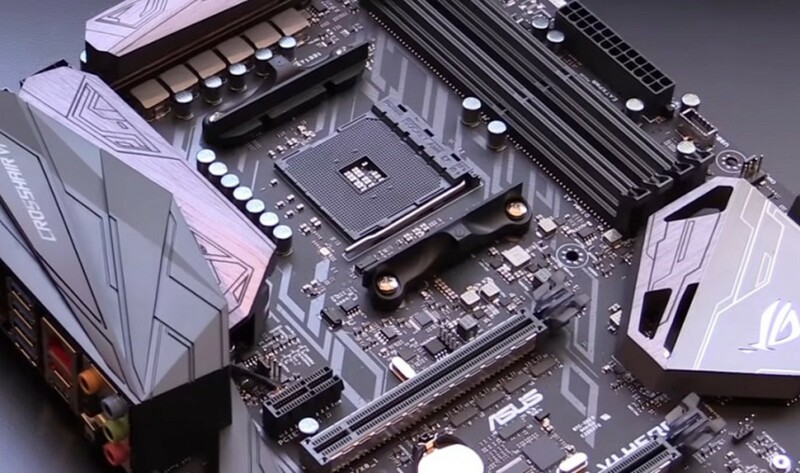 However, there are a few features that we like on the Fatal1ty X370 gaming motherboard. The established LED lighting, steel armor GPU, and black and red look will be appealing to many. The Gaming K4 sports an 8+4 power design and 12k solid state capacitors. The 4 DIMM slots support up to 64GB of DDR4 memory at 2667MHz. However, right now you’ll only able to get to 2400MHz. We’re hopeful this will improve as time goes on. Depending on the processor you get, you should be able to reach around 3.9GHz with a simple overclock. Prefer something smaller? 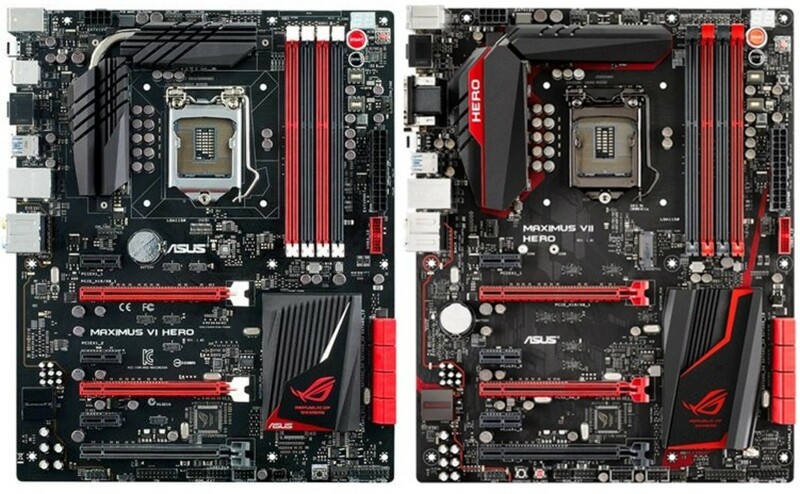 Here’s a list of the 5 best Z270 mini-ITX motherboards. For audio, the quality was very good with the Realtek ALC1220 codec along with minimal noise on the mic. For modern features, there are 2 m.2 nVME PCIe slots that support native booting and 2 PCIe 3.0 slots that support SLI or Crossfire. Overall, at just under $150 this AM4 motherboard is a good offering in the X370 space. The only thing we wished that it had was a clear CMOS button for our overclocking escapades. That’s all we have for today. 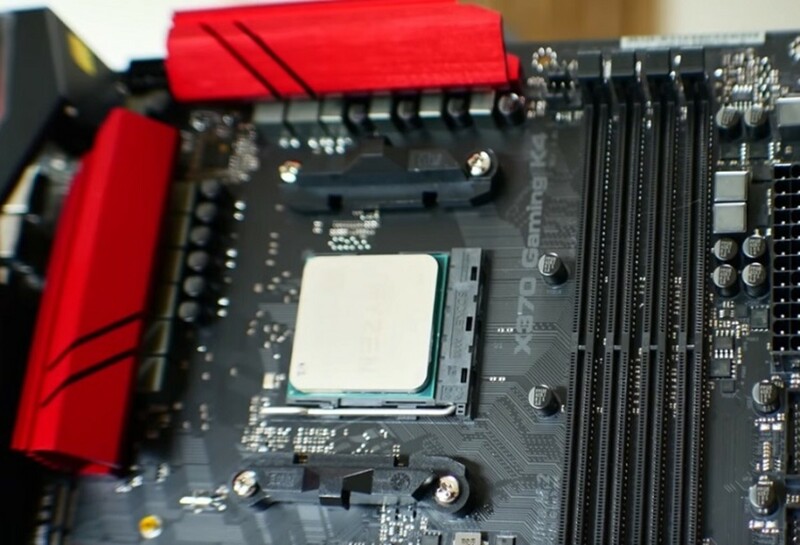 We’ll be adding to this list as we get a look at more AM4 X370 motherboards. In the meantime, be sure to comment and let us know your experience with the platform and your motherboard so far. In order to get the most out of your Ryzen processor we highly recommend getting a good Ryzen compatible memory kit with fast speeds. 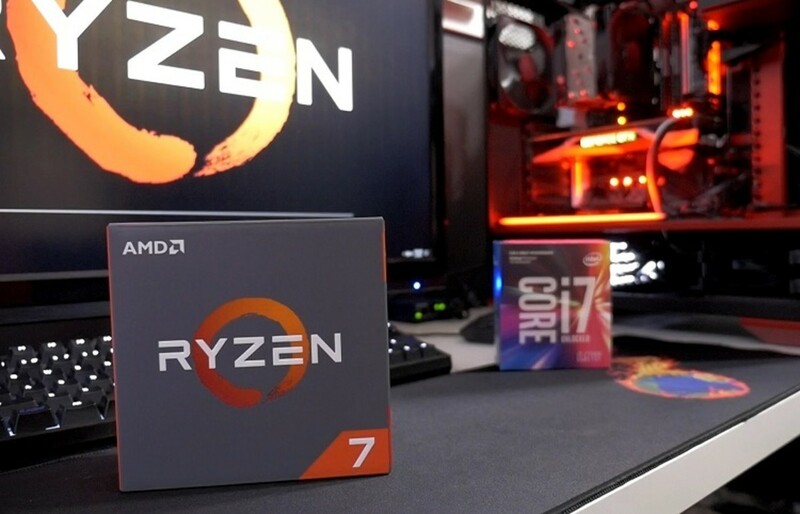 For more information on Ryzen also be sure to take a look at our Ryzen 5 1600X vs i5 benchmark comparison as well as this list of our top AM4 B350 Motherboards for Ryzen. 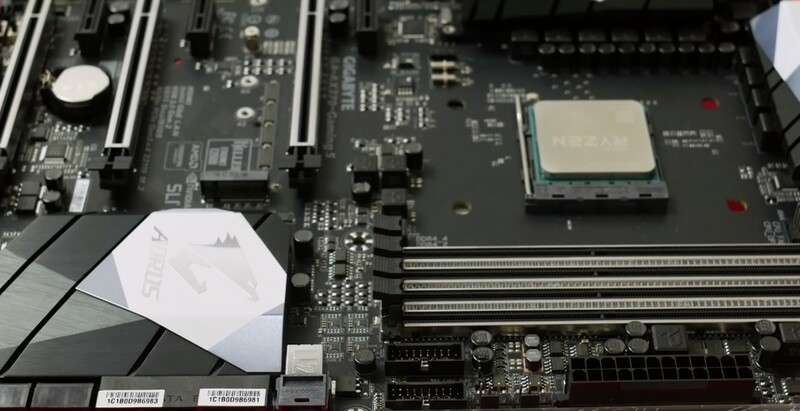 Which motherboard manufacturer do you trust the most?